While sea cucumber is one of China's and Asia's most prized seafoods, and aquaculture programs are being developed on a huge commercial scale, Chinese expertise and knowledge in this area has not been well disseminated worldwide. 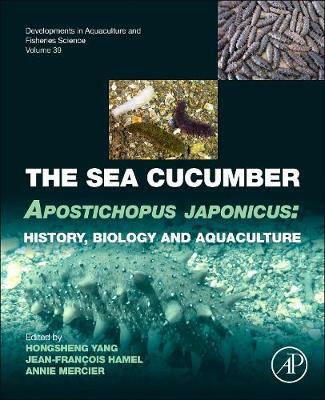 The Sea Cucumber Apostichopus japonicus is the first book to bridge this gap by compiling key information related to hatchery and aquaculture techniques, nutritional and medical values, markets, and trade flow of the number one sea cucumber species. It summarizes the historical and most recent developments in the trade and aquaculture of Apostichopus japonicus, as well as important aspects of its anatomy, population dynamics, reproduction, development, physiology, and biochemistry. With sea cucumber harvest and aquaculture booming worldwide, comprehensive knowledge of China's technological breakthroughs in this rapidly expanding field is key. The Sea Cucumber Apostichopus japonicus is essential to understanding the cultural underpinnings of the insatiable market demands for sea cucumber and what drives sea cucumber trade. It also provides biological information and aquaculture techniques that can be adapted to other species, making it a valuable resource for researchers and practitioners involved in sea cucumber harvesting, aquaculture, and conservation.